Jonathan’s practice focuses on commercial dispute resolution. He regularly engages in complex commercial litigation on a broad spectrum. 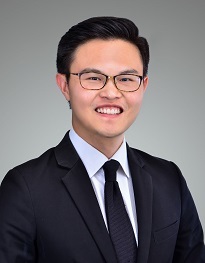 In recent years, he has gained deep experience in disputes relating to employment, investment fraud, landlord-tenant and other property related matters, equity and trusts, shareholder’s disputes, professional negligence, and securities litigation arising from unexpected financial market movements. Jonathan has experience at all levels of the courts of Singapore. He has succeeded as lead counsel before the Court of Appeal and led trials in the State Courts. He also has experience with both international and domestic arbitration, and has assisted clients in several successful mediations. Prior to joining Rajah & Tann, Jonathan was accepted into the prestigious NUS-NYU concurrent degree programme. He graduated on the overall Dean’s List from NUS and obtained an LLM from NYU at the same time. A selection of matters that represents Jonathan’s experience. Acting for an employee of a multi-national corporation for unpaid salary and benefits exceeding S$1 million. The matter involved managing complex electronic discovery proceedings. Applying for urgent injunctions on behalf of a multinational recruitment company against an employee alleged to be stealing confidential information and breaching restrictive covenants. Advising various clients on the enforceability of restrictive covenants in multiple employment contracts in various industries. Advising various clients on the termination of employment and ancillary disputes. Defending allegations of fraudulent transfer of property concerning claims in conspiracy, unjust enrichment, forgery of documents, the authenticity of electronic communications, and professional negligence. Acting as lead counsel in a trial to defend a commercial landlord from its tenant’s claim for wrongful termination. Acting for two individuals in a claim for damages arising from misrepresentations in relation to an investment scheme relating to overseas property. Advising a class of investors on asset recovery in relation to a scheme to defraud local investors in relation to overseas property investments. Acting for a tenant to obtain and enforce specific performance of an option to renew a lease. Advising commercial landlords on lease termination and repossession of premises. Defending a multinational trading broker against claims in the High Court from multiple plaintiffs involving complex electronic foreign exchange transactions arising in the aftermath of unexpected financial markets movements. Defending an execution-only broker against a claim by a customer for closing out his margin trading positions. The decision affirmed execution-only brokers' freedom to contractually protect their automated trading operations against the risk of potential implied contractual / tortious liability (Tan Chin Yew Joseph v Saxo Capital Markets Pte Ltd  SGHC 274). Acting in two separate international arbitrations involving claims arising from the sale, purchase, and carriage of steam coal. Acting for a minority shareholder suing on minority oppression and obtained a favourable consent order for a buyout at fair value (HC/S 779/2011). Acting for an individual in a claim for the misappropriation of his share of an investment (HC/S 886/2010). Acting for a multinational healthcare provider in a claim for damages arising from the purchase of a hospital and nursing academy in Medan, Indonesia for a consideration of US$31.5 million (reported at Columbia Asia Healthcare Sdn Bhd v Hong Hin Kit Edward  3 SLR 87,  2 SLR 395 (appeal),  SGHC 188 (assessment of damages)). Acting in a domestic arbitration involving a club dispute, and applications in the High Court to appeal on a question of law as well as to set aside the award on grounds of breach of natural justice. Acting in complex bankruptcy litigation involving an alleged Ponzi scheme resulting in alleged debts of S$80 million and over 20 creditors. Advising a master franchisor on issues arising from breaches of a franchise agreement. Defending an accounting firm against claims of professional negligence. Contributing author, Enforcement of Foreign Judgments, Louis Garb & Julian Lew, ed., Singapore Chapter, (Kluwer Law International: Netherlands; 2013) (co-authored with Harish Kumar). Contributing author, Asian Conflict of Laws: East and South East Asia, Alejandro Carballo Leyda, ed, Singapore Chapter, (Kluwer Law International; 2015) (co-authored with Harish Kumar). Contributing author, International Succession (4th Ed), Louis Garb & John Wood, Ed., Singapore Chapter, (Oxford University Press; 2015) (co-authored with Harish Kumar and Jonathan Cheong). Contributing author, International Labor and Employment Laws, Fourth Ed., Vol II, William Keller and Timothy Darby, ed., Singapore Chapter, 2015, 2016, and 2017 Supplements (American Bar Association) (co-authored with Harish Kumar, Jonathan Cheong, Josephine Chee and Jason Lim).